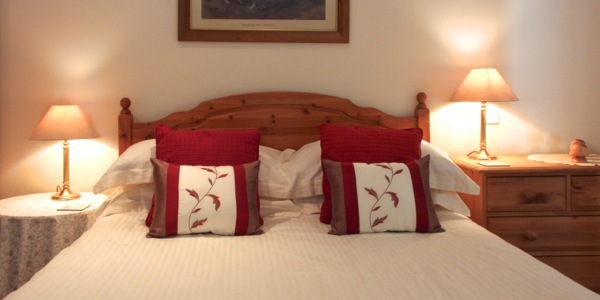 Imagine enjoying peace and quiet in one of our Peak District holiday cottages. Looking out over uninterrupted views from a large, south facing picture window, you can sit and watch the world go by. You can relax in front of the wood-burning stove, spend time with family and friends or simply catch-up with some reading. Put your walking boots on and explore the surrounding countryside without having to drive. Take a walk to nearby Chelmorton or Monyash for a satisfying pub lunch. 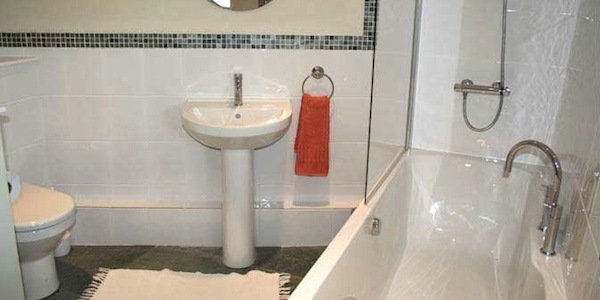 The cottage is ideally located between Buxton and Bakewell, just 10 miles from Chatsworth House. Being very central makes all the main Peak District attractions very easy to get to. 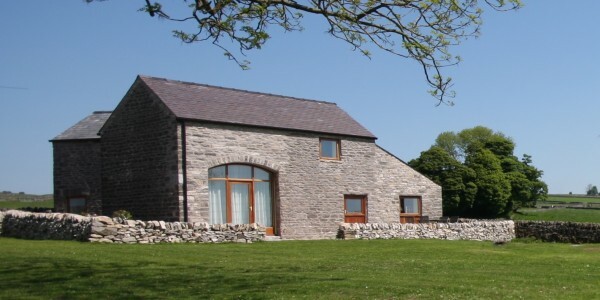 As its name suggests, Hayloft Cottage was formerly the farm’s hay and silage store but has been tastefully converted into one of two quality Peak District holiday cottages. 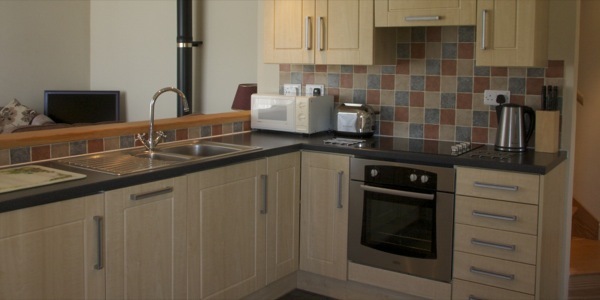 The cottage offers "home from home" holiday accommodation with the kitchen, lounge and dining area providing south facing views of the surrounding countryside. The lounge area benefits from a large arched picture window and a full height gallery. 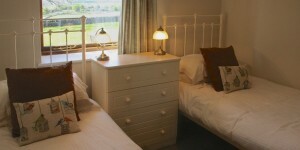 The cottage sleeps 4 with a double on a mezzanine floor and a twin bedroom on the ground floor. 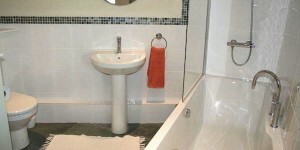 The bathroom is also on the ground floor and is equipped with bath, shower-over-bath, sink and WC and has a heated towel rail. There is plenty of parking available with level access for loading and unloading luggage. Guests have access to a private patio area furnished with garden furniture during the summer. There is plenty of grassy space too if you have pets or children that need a good run around. The Hayloft is suited to wheelchair access with only the second mezzanine bedroom at first floor level. Please see our accessibility guidance for more information. The cottage is heated by an eco-friendly ground source heat pump system which supplies underfloor heating throughout the cottage. 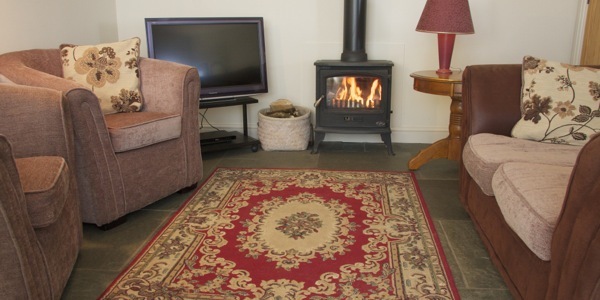 A wood burning stove provides a visual, cosy feel although we doubt you will need the extra warmth! (logs supplied). Free 10 Meg WiFi is provided throughout the cottage. The cottage also has a 32″ HD Television with built in Freesat providing 150 stations including high definition channels. A blu-ray DVD player is also provided. Please note that smoking is not permitted in the cottage.